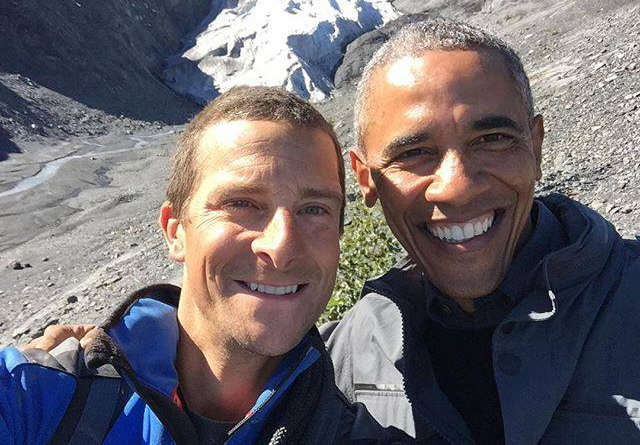 Why Is Obama Getting Dirty With Bear Grylls? The show is currently filmed in Alaska in the next day or two and will premiere later this year. The president is currently on a three-day tour of Alaska focused on observing the effects of climate change, which he aims to combat in his final year in office, evidenced by the Clean Power Plan, released August 3. According to the EPA, rising temperatures, melting glaciers, and forest fires have become increasingly commonplace in Alaska, a state that contains 75% of U.S. national park acreage and 90% of its wildlife refuges by land area. Somehow Grylls has been brought into the picture in a supporting role, presumably to put the president through the survival paces in his show, “Running Wild with Bear Grylls,” which pits celebrities against the elements. Grylls is a polarizing figure in the outdoors, either loved or laughed at for his over-the-top antics in the wild, but he brings a recognizable face to those who dabble in the dirt and get much of their outdoors information from a TV screen. Obama’s recent tough talk toward the fossil fuel industry foreshadows a political battle that will ruffle more than a few feathers. Obama, no longer in need of polls, just this week cast aside the concerns of some in Ohio by re-naming Mt. McKinley — named after an Ohio-born President who never set foot in the state — to the Alaska Native name Denali. Sounds promising, but it’s impossible to ignore that the Obama administration gave Shell the green light to drill for oil in the Arctic Ocean two weeks ago. 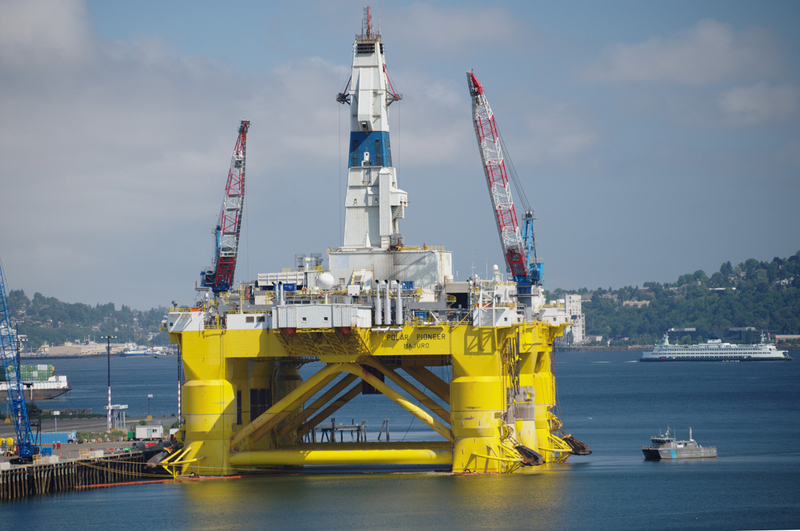 Shell has the oil rig Polar Pioneer on lease from Transocean, the same company whose Deepwater Horizon oil rig spilled 4.5 million barrels of oil into the Gulf of Mexico five years ago. And yet, this rig set to work in the Chukchi Sea on July 30 and was permitted to drill to oil-bearing depths on August 17. The Chukchi Sea is also home to dormant underground volcanoes. It feels like we’re living in an Austin Powers movie, but the joke’s on us. Drilling in Alaska is extremely cost-intensive, with Shell already sinking $7 billion into the project. More on the financials here. All this points to the company entrenching itself in the Alaskan landscape for decades to come. Deep water drilling is a long-term process, and environmental damage, on a potentially devastating scale, is a constant risk. 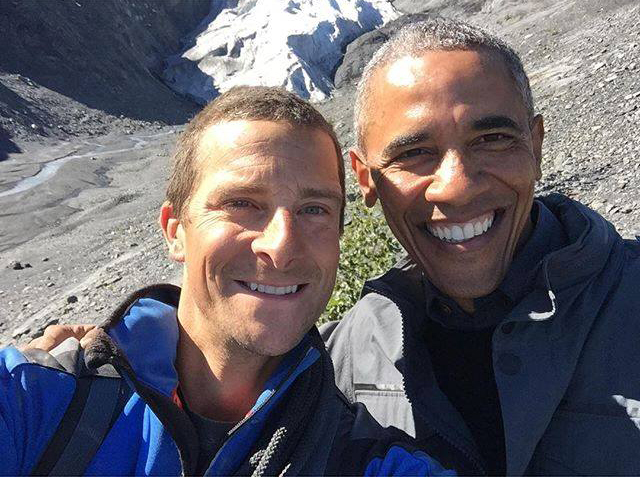 Obama’s Alaska adventure with Grylls will bring in big ratings, but you can expect it to be heavy on political rhetoric. Actions speak louder than words, and while it’s encouraging to see a president push initiatives combatting climate change, we still have to wonder, is he using a Bear to pull the wool over our eyes?